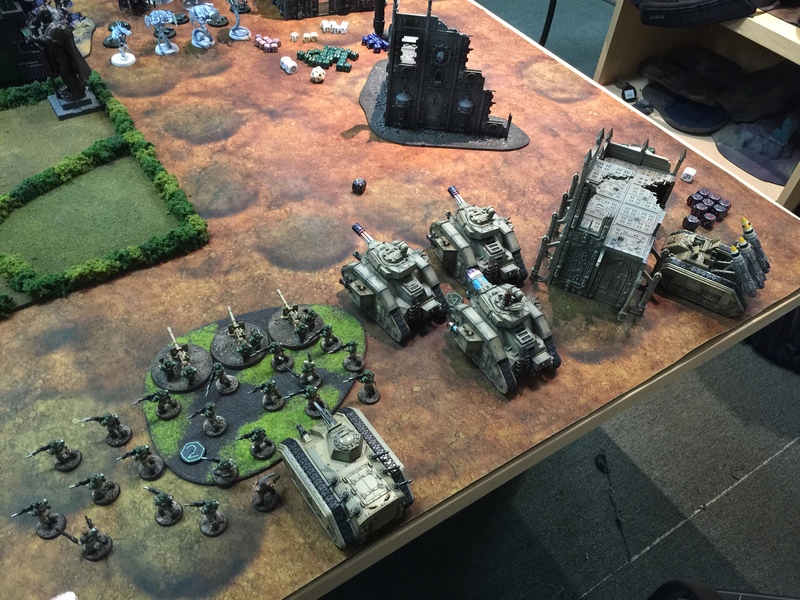 2k Astra Militarum vs. Necrons | 30mm Madness! 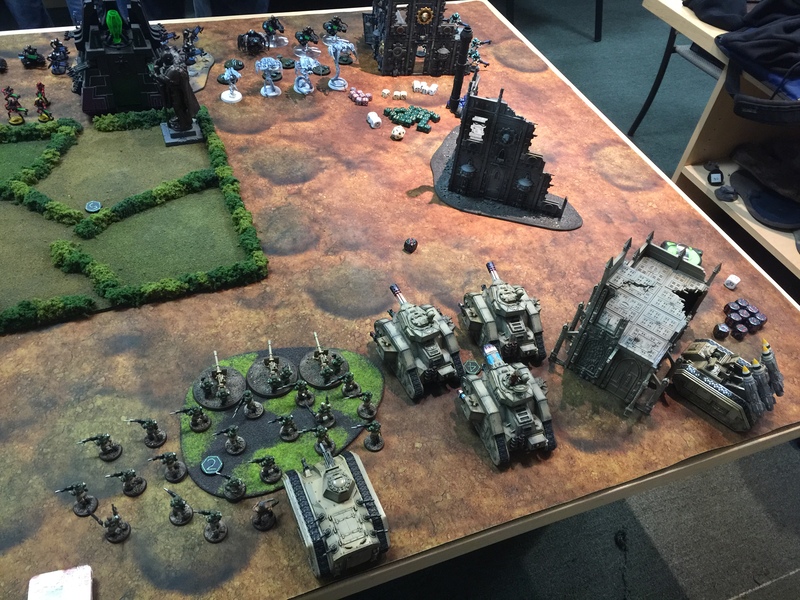 I played a 2k point game with Matt from At Ease Games here in San Diego. Was a fun game and I learned a lot. 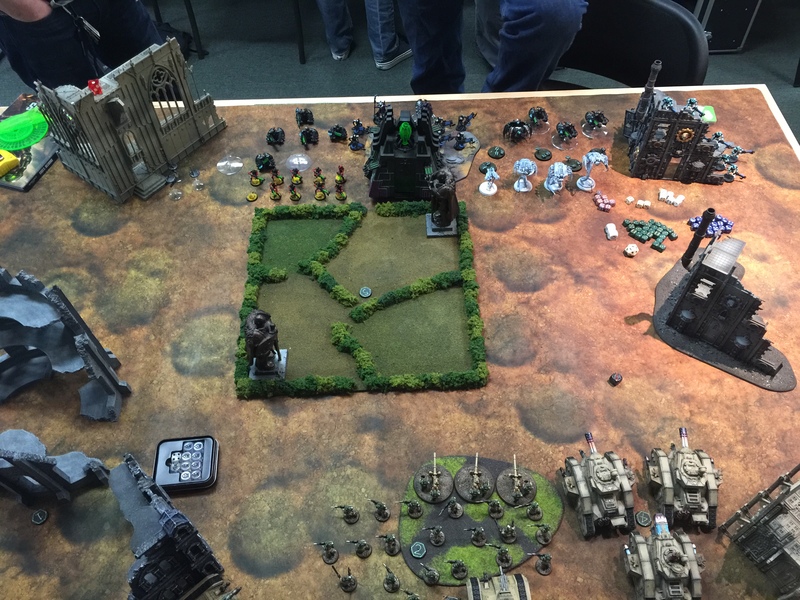 At the bottom of turn four I was getting decimated in close combat, but had earned enough objective points getting lucky with tactical objectives and actually won the game! This entry was posted on March 3, 2015 by justinhardin. 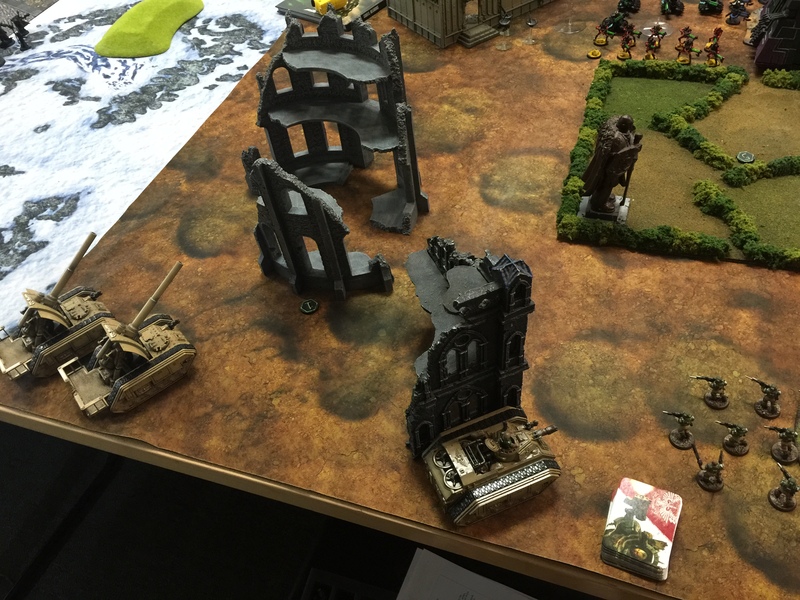 It was filed under Astra Militarum, Battle Reports, Warhammer 40K .